« River Kelvin AGM – scotty9 has a question! Another season is fast approaching and of course this means another open weekend at the Glasgow Angling Centre. The visit will be worth it alone just to meet John Wilson – sheer comedy value! And thirdly a set from Davy McPhail featuring his Fatback tubes and traditional shrimp patterns, Davy is donating the proceeds from his raffle to Casting for Recovery. The prints will be on display in the fly dressers area for the whole weekend! Tickets cost £1 and will be on sale throughout the open weekend, with the winners being drawn by the tyers at 5 pm on the Sunday. 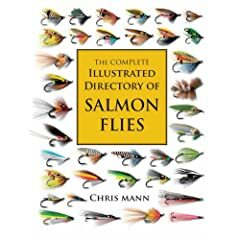 Also available over the weekend will be a limited number of books signed by the author and all three flytyers, these can be ordered in advance by calling the store on 0141 331 6330. Somehow I always seem to miss these weekends – the last one I went to was purely by accident – I had just popped in to pick up some tippet and the whole place was jam packed, sadly I was in a rush and only had time to spend a quick half hour however what I seen impressed me. I would like to see more days like this – they do not even need to be big events – just invite a few local tyers along to show off their skills. I have read they do this all the time in the States – I am looking forward to this one though ! While you’re there could you ask them to sponsor me to the tune of a pair of wader and boots, I’m offering hilarious coverage of my attempts to learn to fly cast and i’ll thrown in a couple of pots of my mum’s jam. Do you think they’ll bite?